Ladies! Get ready for an evening of FUN! 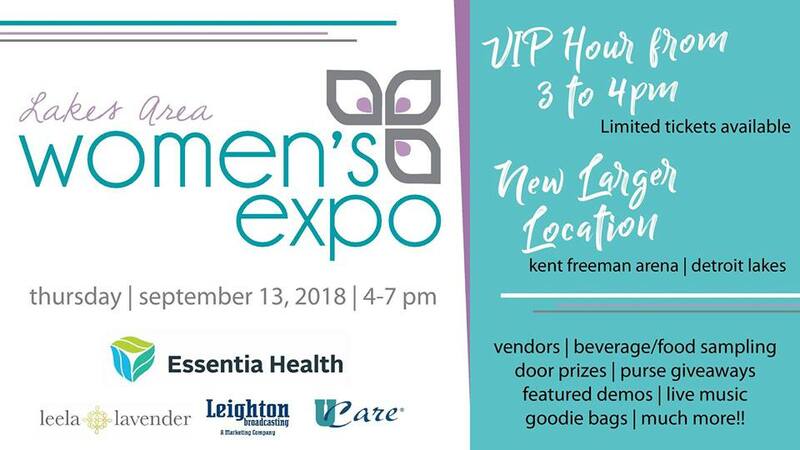 The Lakes Area Women's Expo presented by Essentia Health is back and it will be bigger and better than ever! *VIP Hour from 3PM to 4PM - limited number of tickets will be sold. Each VIP ticket will come with an amazing SWAG bag! Details to come! Plus, enjoy vendors, beverage/food sampling, door prizes, purse giveaways, featured demos, live music, goodie bags and more!